Dr. Regan joined the EM faculty in 2007 as the Associate Program Director for the EM residency program. In July of 2010, she took over as Program Director. Prior to her arrival here, she served as the Assistant Program Director at the NYU/Bellevue Emergency Medicine residency program. 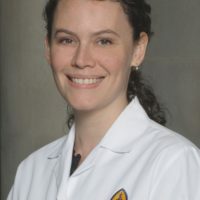 In addition to her extensive work with the residency, she spent three years as the Co-Director of the Undergraduate Education Program in EM at NYU. Dr. Regan’s interests lay mainly in medical education and range from curriculum development and evaluation, resident evaluation and feedback methods as well as adult learning theory. She developed interactive ways of teaching resident professionalism and communication skills and was the PI of a grant funded project which evaluated this curriculum. She started a fellowship in Medical Education within the Department of Emergency Medicine and is actively involved on a national level in furthering education within the field. She is on the Board of Directors for the Council of Residency Directors in Emergency Medicine (CORD), sits on the Program Committee of both CORD and SAEM and has lectured nationally at ACEP. Her main interest outside of medical education involves radiation exposure in emergency medicine.